Google, which is criticized for its consumer data privacy controls, will make it easier to delete all the data it generates and collects about those using its products. The data will include searches and location, among other triggers that make it easier for the company to target advertisements and serve content to consumers. For starters, users can delete their search history without leaving Google Search by scrolling to the bottom of the Your Search activity page on the new Your data in Search page. There the user will see options to either delete the last hour of search activity or all search activity the person has ever conducted. Previously those who wanted to delete information about themselves needed to sign in to their Google Account. Now Google will allow those using its products to delete the data from within the product, beginning with search. Eric Miraglia, Google’s director of product management, made the announcement in a blog post on Wednesday. The feature in Google Search for the mobile web and on the desktop rollout today, and in the native Google apps for Android and iOS in the coming weeks, Miraglia wrote. The feature is limited to search today, but will expand into Maps and other products next year. The new page also provides access to privacy controls in their Google Account related to personalizing ads based on the data. For example, to control the ads you see when you search, Google will now give users the access to their Ad Settings. 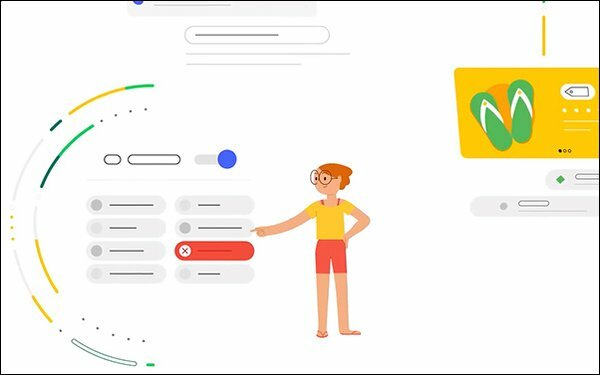 Users also can access their Activity Controls to decide what information Google saves to their account to make Search and other Google services faster and smarter. 1 comment about "Google Makes It Easier To Delete Search History". Hemendra Singh from The NineHertz, October 25, 2018 at 12:59 a.m. Thanks, Laurie Sullivan for sharing informative information.